Hello, my name is Chelsea Poole and I graduated from DCI in 2014. 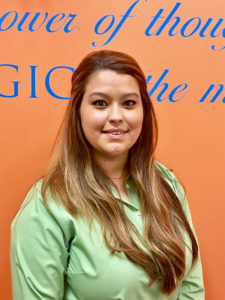 I am your Expanded Duties Certified Dental Assistant and certified in CPR. I have been working with the Smile Magic Dentistry family since 2014. I love to go to the beach and visit with family. 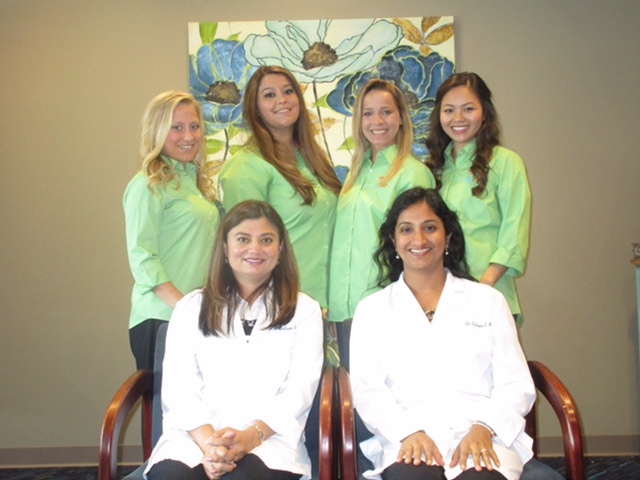 The dental profession runs in the family so after graduating Peachtree Ridge High School I knew dental assisting was my calling. Working for Smile Magic was an easy decision to make due to my strong passion of working with children of all ages. I hope to always make a strong impact for your child’s overall health. I love being a positive influence to the children and teaching them how important their oral hygiene is. 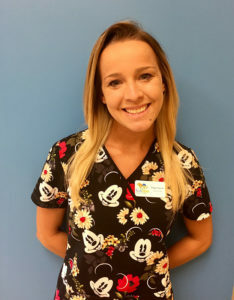 I enjoy my daily life routine as a dental assistant getting to know each individual child and creating a special bond with each one of them. I’m a mother of one precious, loving daughter and we enjoy the outdoors, reading books, coloring, ballet, and spending quality time together. I look forward to meeting you and your child as well as creating their Magical Smile. 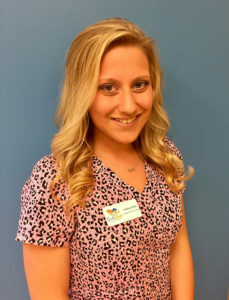 Hey, my name is Haley and I am your child’s dental hygienist here at Smile Magic Dentistry. I graduated from Clayton State University in 2014 and have been practicing ever since. I love to help our patients feel comfortable at our office by doing a tell and show before we start the cleaning. I have taken continuing education courses in OSHA and HIPPA and am also CPR certified. I look forward to meeting you and your children and positively, improving their smiles each and every day. I speak Vietnamese and I have been married for one year now. I have a wonderful niece and nephew that I love spending time with on my free days. My husband and I love to travel together, visit beaches and relax on cruises every chance we get. Some of my hobbies include working out, swimming at the pool and playing board games with my niece and nephew. My name is Paige Church. I graduated from Mount Pisgah in 2013 and I attended Newberry College for cheer. I continued on my journey graduating from DCI in 2016 as a certified dental assistant. I have been with Smile Magic Dentistry since. Your child’s oral health is my top priority and I want to make sure they have the best dental experience, leaving here smiling and excited to come back. I couldn’t be happier being a part of the Smile Magic team and look forward to meeting you and your children. I love to workout and stay fit. 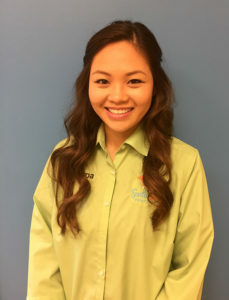 Hello my name is Nina and I’m your patient coordinator at Smile Magic. I joined Smile Magic as a new parent and I immediately fell in love with the office, Dr. Sharon and Dr. Pushpa. Lucky for me, they were hiring! My goal is to help make your visit the best ever for your child. I enjoy helping our smallest to our oldest patients feel comfortable, whether it’s by introducing them to “Allie” our alligator so they can brush his teeth, or playing Xbox in our play area! During my free time I take on the role of being my kids’ cheerleader for their various activities. I aim to make the patients’, as well as the parents, experience at Smile Magic a positive one.